Item # 288348 Stash Points: 1,999 (?) This is the number of points you get in The Zumiez Stash for purchasing this item. Stash points are redeemable for exclusive rewards only available to Zumiez Stash members. To redeem your points check out the rewards catalog on thestash.zumiez.com. 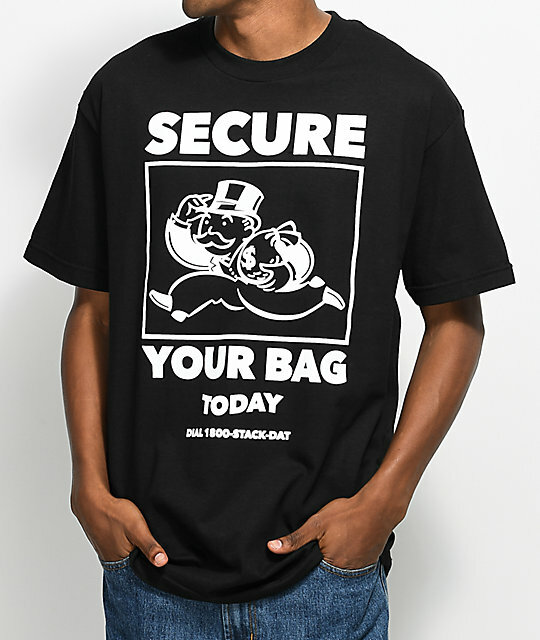 The Secure Your Bag T-Shirt from A-Lab features a man holding a bag of money with "Dial 1800-STACK-DAT" beneath. Check it for yourself on this 100% cotton black t-shirt. 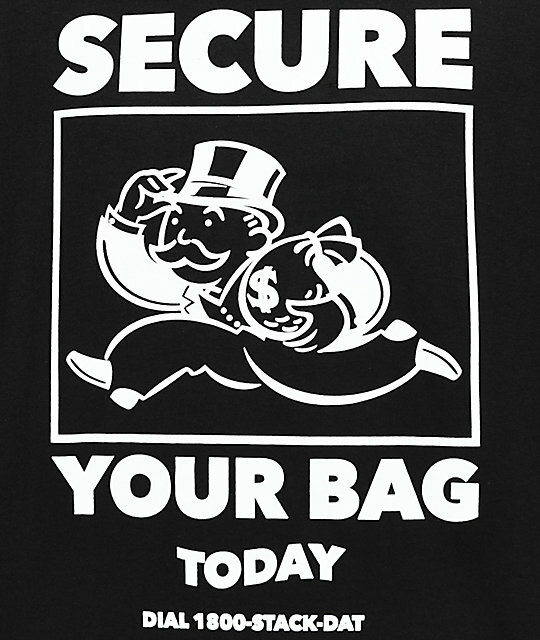 Secure Your Bag Black T-Shirt from A-Lab.